Kaptur was born in Detroit MI where his father was a designer in the Packard and General Motors studios. He studied architecture at the Lawrence Institute of Technology. 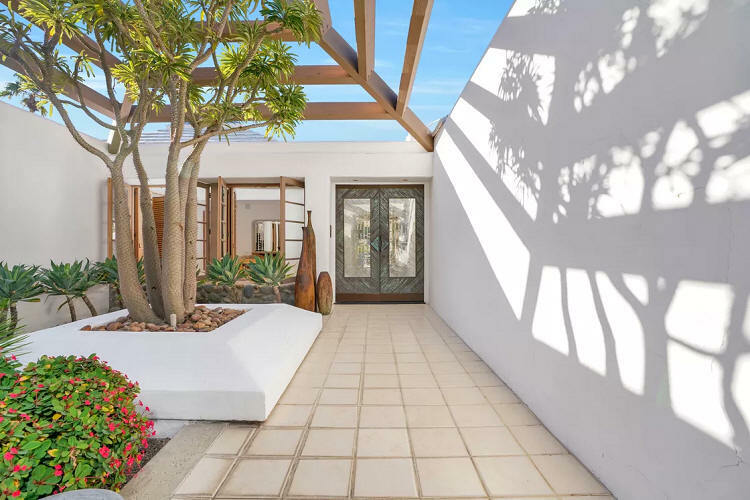 He joined the Marines and while stationed at Camp Pendleton, he met his first wife and designed a real estate office for her family in San Clemente, his first built project. In 1954, Kaptur returned to Detroit where he worked with his Dad in GM’s styling division. 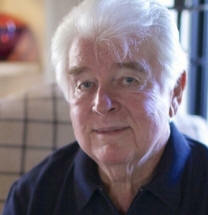 He moved to Palm Springs in 1956 where he apprenticed in the offices of Donald Wexler and Harrison. After being laid off, Kaptur went on his own making renderings for other architects and was hired by contractors to draw building plans. 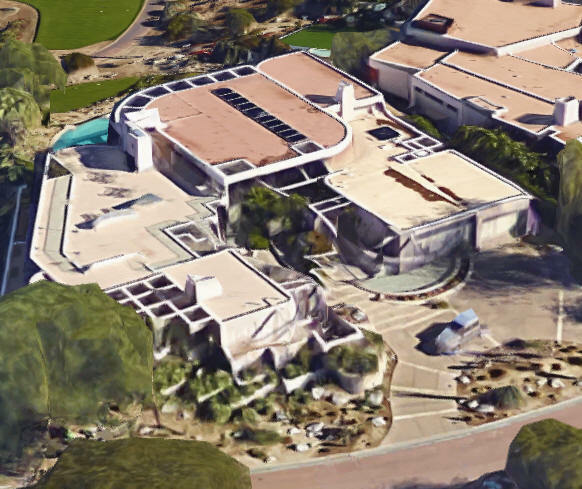 In 1962 he formed a partnership with licensed architect Robert Ricciardi to get the commission for Palm Springs Fire Station #3 and the Palm Springs Golf Course Clubhouse. After that partnership broke up, in 1965 he formed a company with Larry Lapham, noted architect Howard Lapham's son, which lasted ten years. 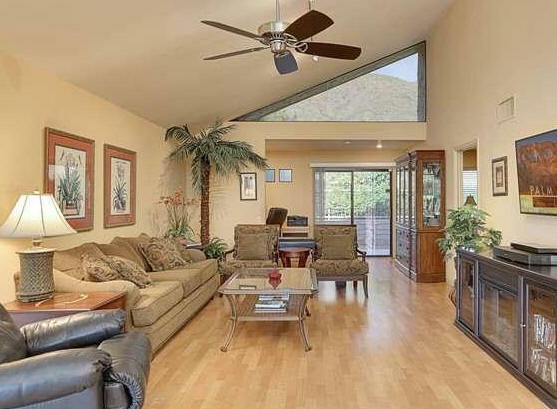 They designed homes in the exclusive Thunderbird and Eldorado Country Clubs. After a partnership with James Cioffi, he semi-retired in 1992. Kaptur was added to the Palm Springs Walk of Stars in 2014. He is featured in the 2014 documentary Quiet Elegance. He married Helen Dzo Dzo in 2001. She was a professional model in the 1960s and a favorite of designers and photographers. 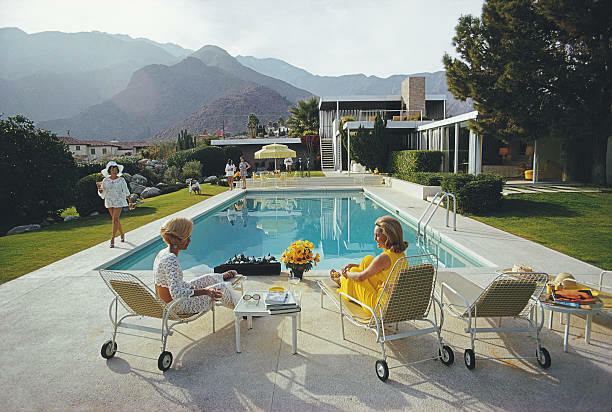 Getting invited by her friend Nelda Linsk to the Kaufmann house in 1970 for a photo shoot by Slim Aaron immortalized the photo below, entitled "Poolside Gossip," as the epitome of the Palm Springs lifestyle. 1954 - The Ardis Mae (Amy) Nelson House, San Clemente CA. 1957 - The Fisher House, Indian Wells Country Club, Indian Wells CA. 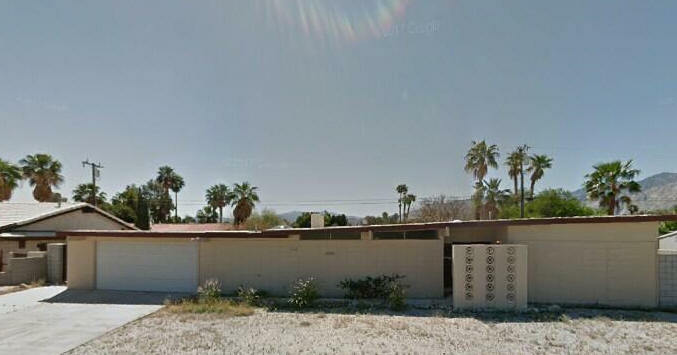 1957 - The Noel Gillette House, 1033 East Via Colusa, Palm Springs CA. Kaptur did a update in 1962. Sold around 1963 to Byron Moger who had Kaptur add on garages and a hobby room. Sold in 1990 to Leon Hanley. 1957 - The Press and Press Houses, Indian Wells Country Club, Indian Wells CA. Kaptur did three of them for this developer. 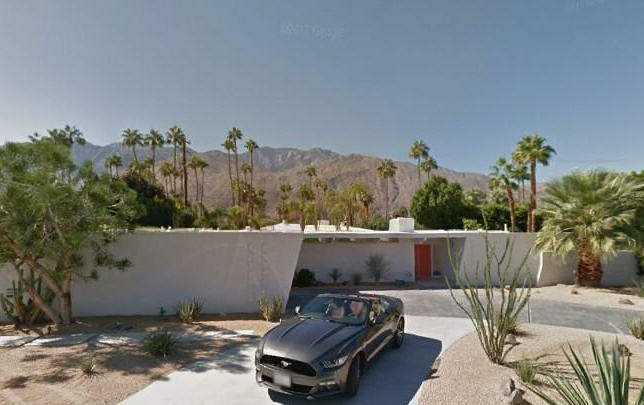 1958 - The William (Bill) and Clara Burgess House, aka Bougain Villa, 550 Palisades Drive, Palm Springs CA. Designed with William (Bill) Burgess. Commissioned 1957. Sold to Harold and Dorothy Meyerman. Renovations by Albert Frey. 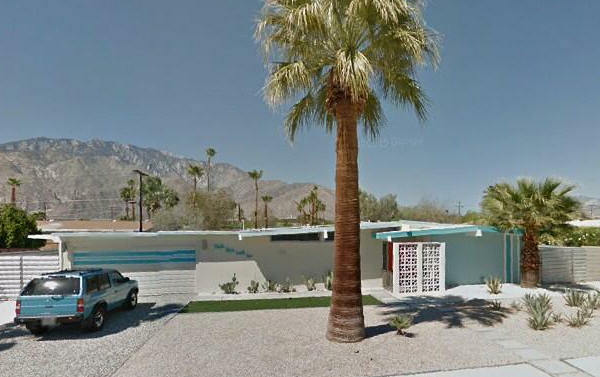 1958 - The Arthur and June R. Boyer House, 984 North Rose Avenue, Palm Springs CA. Still owned by June R. Boyer as of 2015. 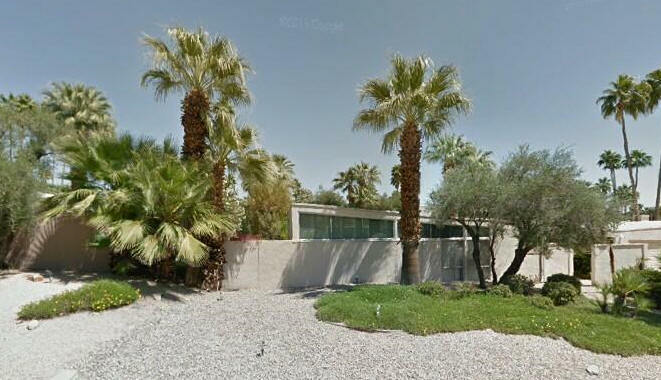 1958 - The Hugh and Rosemary Kaptur House, 1897 East Belding Drive, Palm Springs CA. Sold in 1996 to Martin Danielson. Photos by Ben Veronis. 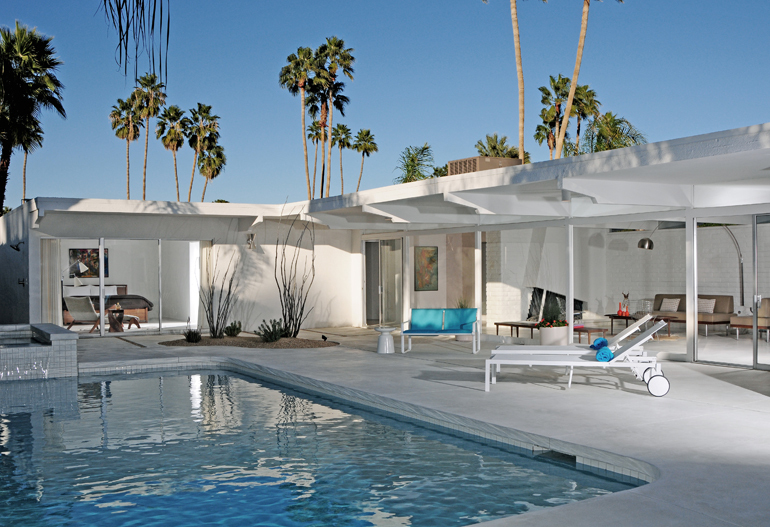 1958 - The McCalley House, Palm Springs CA. 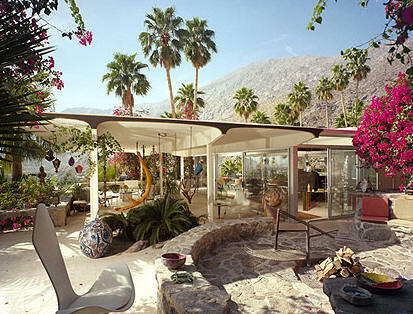 1958 - The Phillip Miller House, Palm Springs CA. 1958 - The Tom Sills Development, aka the Ranch Construction Company, aka Ranch Club Estates, aka Desert Park Estates, Palm Springs CA. The houses in this development had 5 model designs: the Saddle, Sombrero, Spur, Lariat, and Prairie. 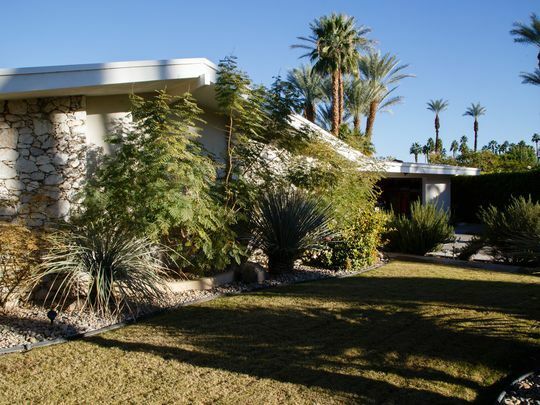 1958 - The Walter Loupe House, Indian Wells Country Club, Indian Wells CA. Could be one of the Press and Press Houses, above. 1958 - The Fern Laurence House and Hotel, aka Impala Lodge, aka the Triangle Inn, Random Drive and San Lorenzo Road, Palm Springs CA. 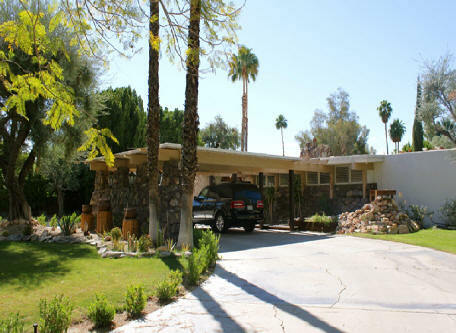 According to the Desert Sun, May 27, 1958, it was designed as Indian Modern architecture with 9 units. 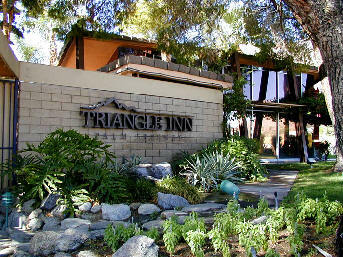 In 1989 the property converted to a gay men's clothing-optional resort called the Triangle Inn. Sold in 2000 to Michael Green. 1958 - The Bahama Hotel and Apartments, 2323 North Palm Canyon Drive, Palm Springs CA. Started out as a hotel, became low-rent apartments. Sold to Ella T. Flynn prior to 2015. Vacant as of 2017. 1958 - The Earl Stroube Spec House I, 1951 South Camino Monte, Palm Springs CA. Sold to the Dempsters. Sold to architect Jim Schmidt around 2009 who did a renovation and expansion. 1959 - The Earl Stroube Spec House II, 1935 South Camino Monte, Palm Springs CA. 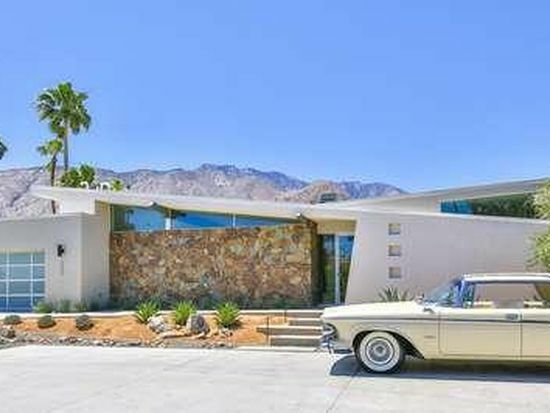 1959 - The Pete Siva House, aka the Douglas Russell House, 660 Palisades Drive, Palm Springs CA. Siva did not live there very long and sold to Douglas Russell. Albert Frey did a sunshade addition in 1983 and another addition in 1984. Sold to Robert Halliday. Sold to Michael Russell in 2004. Sold in 2012 to Bud Golditch. Sold later in 2012 to Mark and Elizabeth Ostoich. 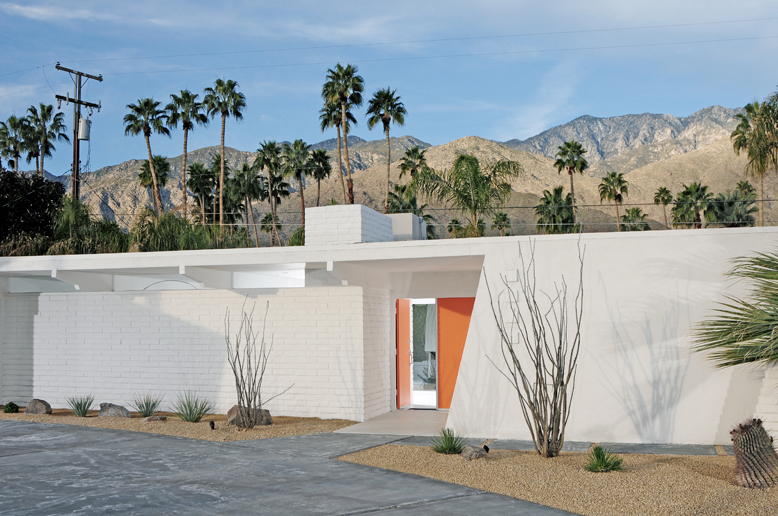 1959 - The Albert Bryant House, Palm Springs CA. 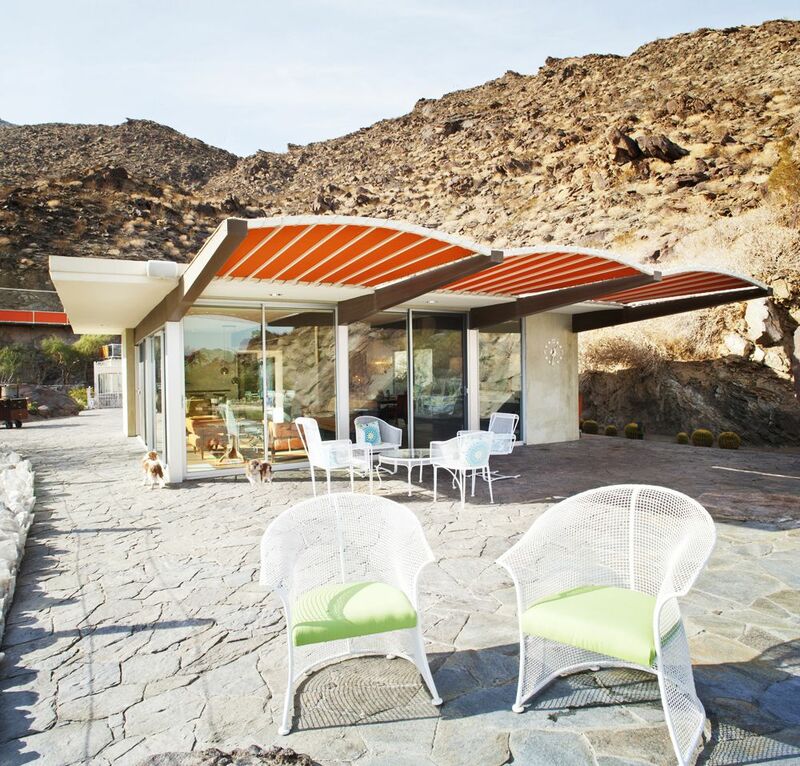 1959 - The Werner Hogback House, Palm Springs CA. Sold to Sally Julien. 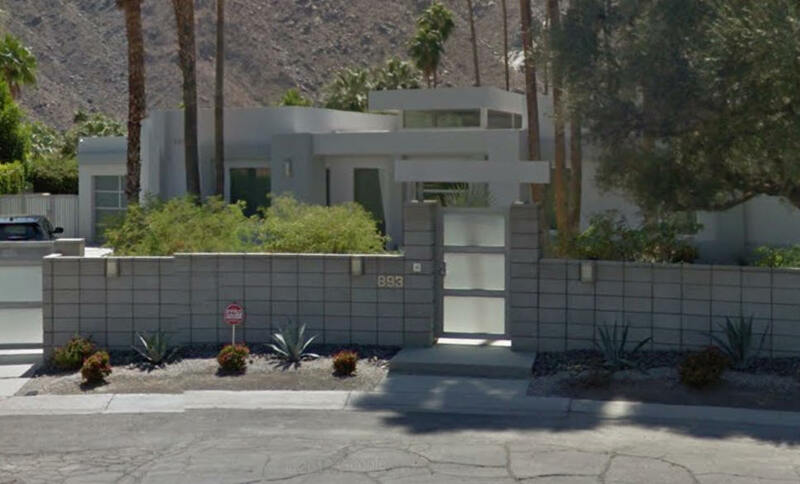 Around 1960 - The Robert and Marianne Leaver House, 660 Palisades Drive, Palm Springs CA. Interiors by Arthur Elrod. The Leavers died and the home was neglected for many years. There was a substantial fire. Other homeowners on Palisades Road decided that the building had to be destroyed and turned into a neighborhood tennis court. The lot became part of the Siva house lot. 1960 - The Richard Marsh House, Indian Wells Country Club, Indian Wells CA. Likely this was one of the Press and Press houses, above. 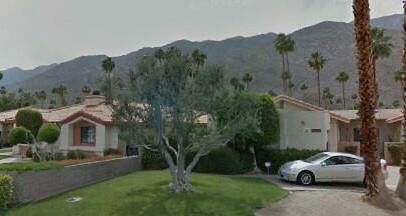 1960 - 1577 Calle Marcus, Palm Springs CA. Sold to Peter Eric Loforte in 2010. 1960 - The Frank and Nancy Nicholas House, Bermuda Dunes CA. 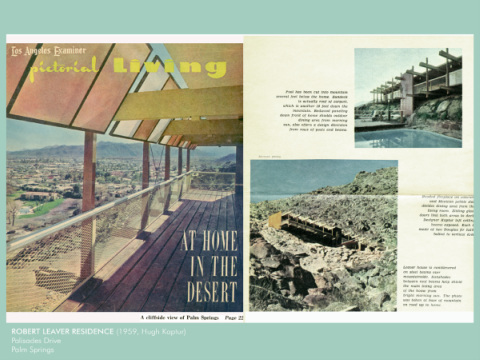 1960 - The Palm Springs Panorama Triplex Apartments, Palm Springs CA. 1961 - aka Nici's Pool House, Ranch Club Estates, Palm Springs CA. Sold to Bert and Berlynn Simonis. 1961 - The Donald Baker House (Tony Dalu, project designer), Los Angeles CA. 1961 - The T. J. Treyvellan House, Bermuda Dunes Country Club, Bermuda Dunes CA. Built. 1962 - The Donald Baker House, Tamarisk Village, 70405 Mottle Circle, Rancho Mirage CA. Mottle Circle had 4 homes completed by 1963, all by Far West Development Co. Donald Baker was the builder. Likely that all four were prototypes designed by Kaptur. The Baker residence was the furnished model show to potential buyers. About 40 homes were planned, but no others were ever built. Sold in 2010 to Derek and Dianne Cook. 1964 - The Edwin H. (Buddy) and Carolyn Morris Remodel, aka the Steve McQueen House, 2203 Southridge Drive, Palm Springs CA. Commissioned 1962. Thomas Griffing was the developer and original client but he never moved in. Broadway song publisher Morris purchased it and asked Kaptur to add a carport and a covered walkway among other changes. Sold in 1969 to Steve McQueen who had it until his 1980. 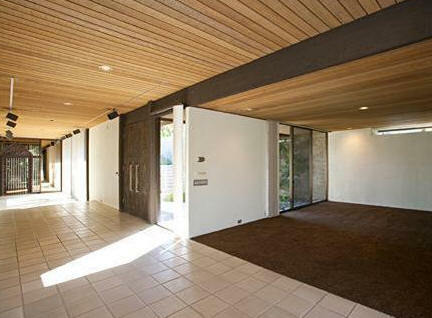 Sold in 2005 to Michael J. Kilroy who at the time owned the 1968 Lautner-designed Elrod House next door. Top two photos by Dan Chavkin. 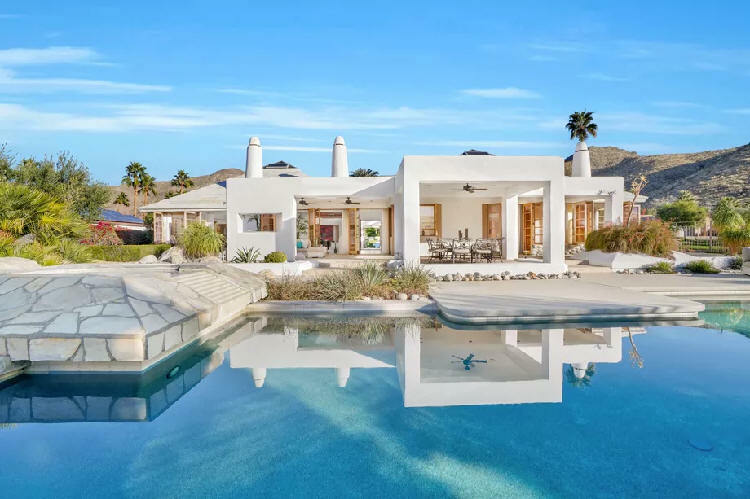 Sold to Jeremy Scott, who also later bought the Elrod House, in 2016. 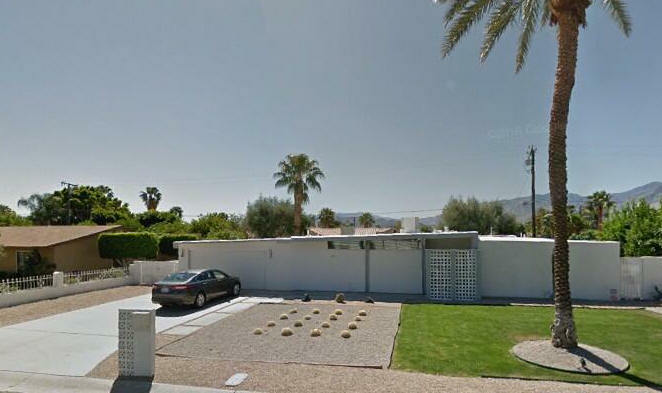 1964 - The Thomas (Tom) Griffing House, aka the Hugh Kaptur House, 521 Via Lola, Palm Springs CA. Griffing put the house in Kaptur's name but he never owned it. And he never got paid for the design! 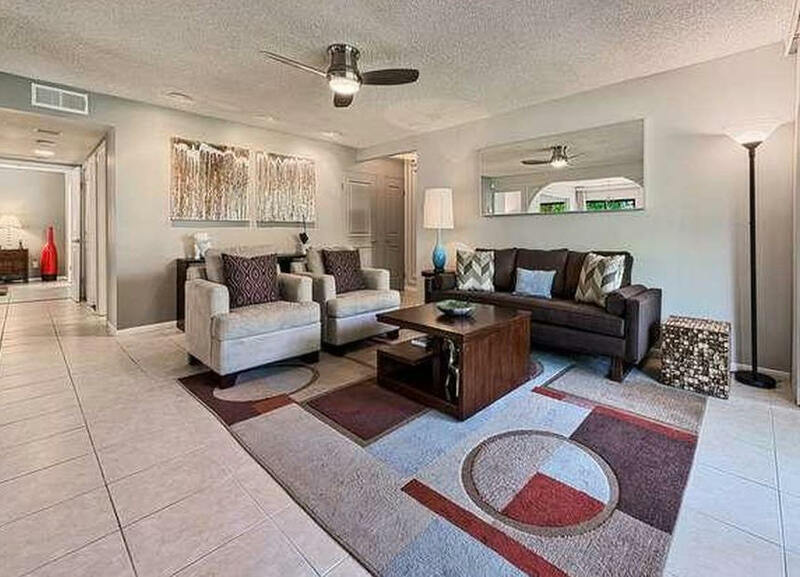 Sold in 2014 to Denise Luckman and remodeled. Sold in 2018. 1964 - The D. R. Brown/ I. L. Scales House, Bermuda Dunes CA. unsure if built. 1964 - The Chapman House, Brawley CA. Likely addition, needs verification. 1964 - The Mel Greenley House, Palm Desert CA. Unsure if built. 1964 - The Pinnell House, Bermuda Dunes CA. Unsure if built. 1965 - The Arthur Lee House, San Clemente CA. 1965 - The Purcell Remodel, Kaweah Hills, location unknown. Kaptur added a second story. Needs address and verification. 1965 - The Basil Spirtos House, 16018 Puesta del Sol, Whittier CA. 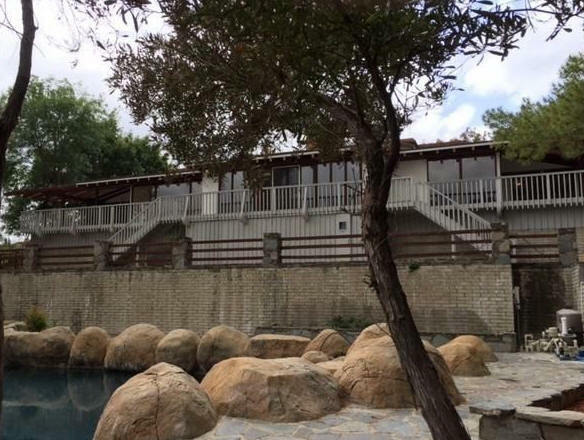 The retaining wall and pool were built around 1979 According to son Nick Spirtos, the "house was ... a larger version of a similar home built a few years earlier in Laguna CA which won Better Homes and Gardens or Architectural Digest (or some other national magazine) award." Sold to Giora and Dina Agam in 2011. 1968 - The McKinney Trust Hotel, Palm Springs CA. Built. Need address. 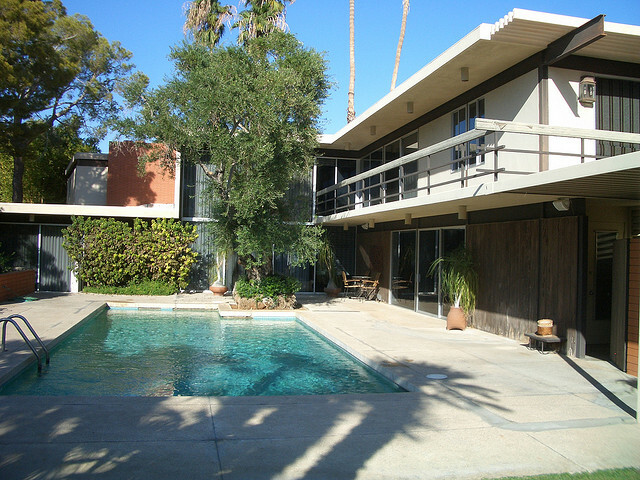 1969 - The Edward King House, Movie Colony neighborhood, Palm Springs CA. Need address. 1972 - The Mel Haber Condominiums, Palm Springs CA. No information found. Likely unbuilt. 1972 - The Hoelsel House, Palm Springs CA. No information found, likely unbuilt. 1973 - The Aquarius Condominium Hotel Tennis Club, 128 Unit Condominium Complex, Palm Springs CA. No information found, likely unbuilt. 1973 - The Paul DiAmicos House, Palm Springs CA. No information found, likely unbuilt. 1973 - The George M. Hartley (Trustee), aka Decade 80 House, La Quinta CA. No information found, likely unbuilt. 1973 - The Abronia Apartment Complex, Palm Desert CA. Unbuilt. 1973 - Sonora South, Palm Springs CA (nothing by this name but may be a street or area). This was a Roy Fey project. 1973 - Village East, Palm Springs CA. No information found. Likely unbuilt. 1973 - The Julius Kaplan Remodel, Palm Springs CA. He was Kaptur's dentist. 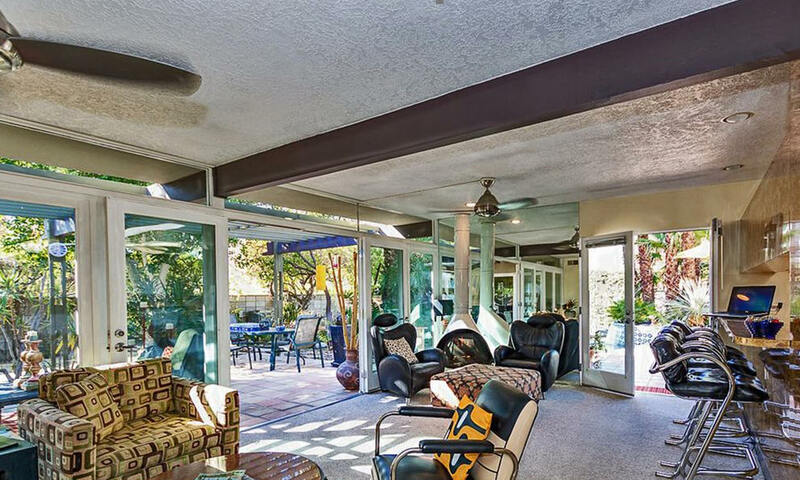 1974 - The Stuart Barton Addition/Remodel, 444 West Chino Drive, Palm Springs CA. Original house built in 1949. Barton still owner as of 2014. 1974 - The William C. Ford Sr. 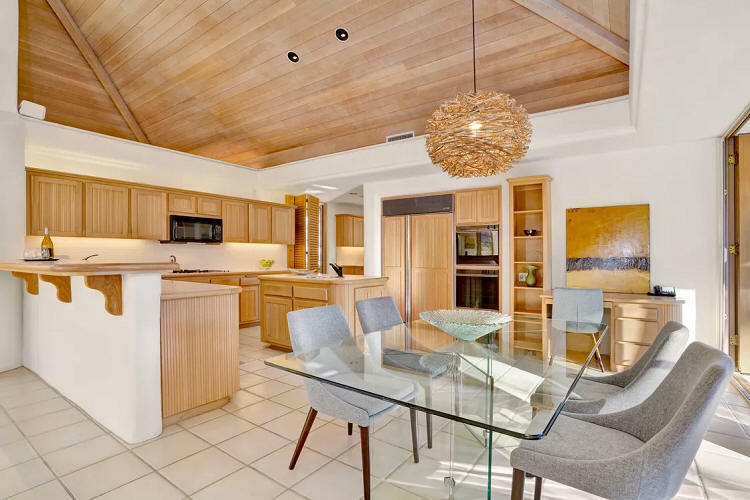 Addition and Alterations, 1850 Smoke Tree Lane, Smoke Tree Ranch, Palm Springs CA. 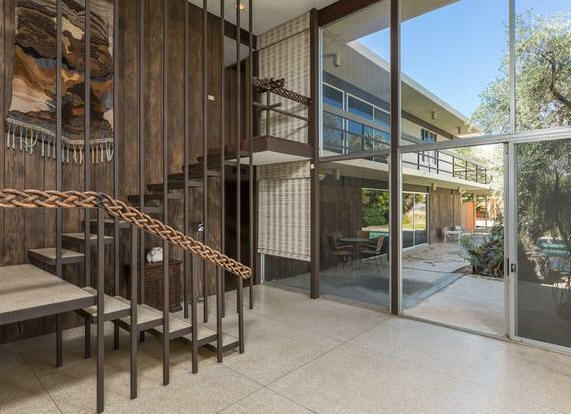 Originally designed by Paul Trousdale. A fire on April 12, 1974 destroyed 3 bedrooms, a storage room, family room, and most of the roof, prompting the project. Sold in 2012. Destroyed about 2015. 1974 - The H. E. Walpert House, Palm Springs CA. Unbuilt. 1976 - The Saddle Rock Condominiums, 1602 South Cerritos Drive, Palm Springs CA. Commissioned 1975. 1975 - The Fred Rice Remodel, 48780 Eisenhower Drive, La Quinta CA. Original house built in 1967. Sold to Robert and Diana Brookes in 2013. 1976 - The Graham Barbey House, Francisco Patencio Road, Smoke Tree Ranch, Palm Springs CA. Unbuilt. 1976 - The Leo Owens House, Palm Springs CA. Assumed unbuilt. 1977 - The Jerry and Florence London House, near Ramon Road, Palm Springs CA. Kaptur added a colonnade which has since been enclosed. 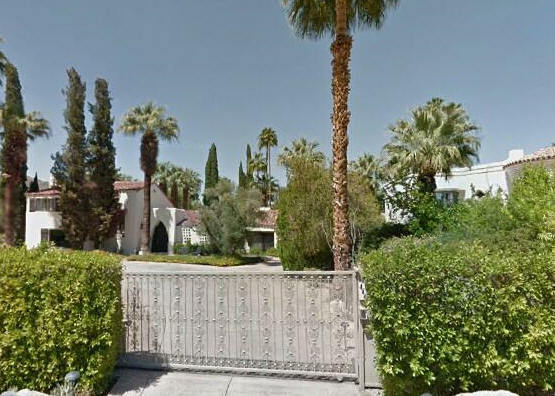 1977 - The William Holden House, 2433 Southridge Drive, Palm Springs CA. Commissioned 1975. Holden originally approached E. Stewart Williams in 1971 to build the unbuilt Alma Walker house that was to be in the same neighborhood. Holden lived there until his death in 1981. He was Kaptur's favorite client. Sold in 2013 to Alan Neil Freiman. 1977 - The Mac Renfro House. Unbuilt. 1977 - One Hundred Eleven Inc. 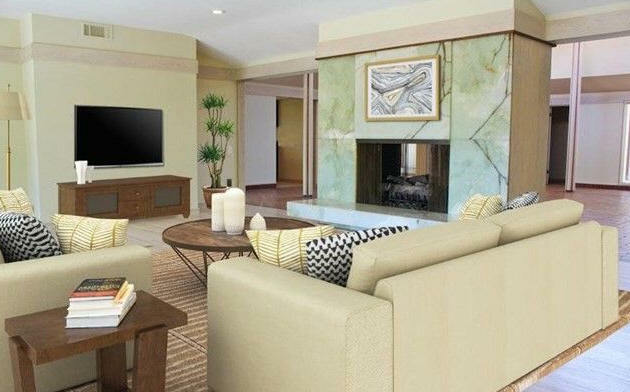 Condominium Project, Palm Springs CA. Listed in applications in the Desert Sun newspaper, Oct. 28, 1971. Unsure of status. 1978 - The Al and Lois Anderson House, 899 East Granvia Valmonte, Palm Springs CA. Still owned by Lois Anderson as of 2015. 1978 - The D. E. Development Houses, Cathedral City CA. Unsure of status. 1978 - The Roy and Robert Fey Project, Canyon West Estates Condominiums, bounded by Calle Bravo, Ramitas Way, Buena Tierra, and East La Verne Way, Palm Springs CA. 12 acres, plans range from 1695 sq ft to 2195 sq ft. Photo is 2095 Ramitas Way. 1978 - The Roy and Robert Fey Project, Caballeros Estates Condominiums, bounded by Avenida Caballeros, Baristo Road, and Arena Road, Palm Springs CA. 106 units. 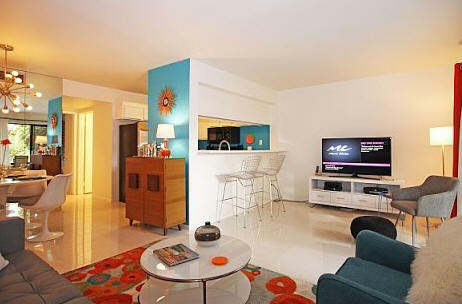 Photo is 280 Avenida Caballeros, Unit 201. 1979 - The Tumanjan Apartment Complex, 3155 Ramon Road, Palm Springs CA. Commissioned 1978. Changed name to Palm Villas. Sample unit, above. 1979 - The Tahquitz Properties, Palm Springs CA. 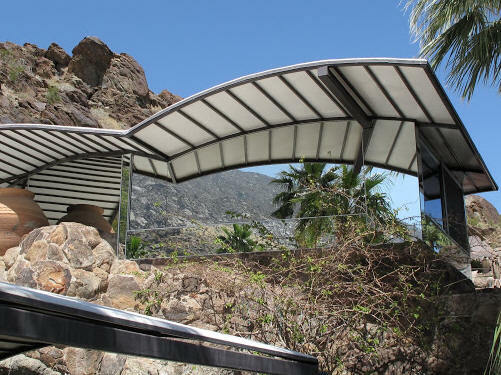 1979 - The M. R. Mazahen House, 2011 East Tahquitz Canyon Way, Palm Springs CA. Needs verification. 1979 - The Arno G. Thies House, 75180 Chippewa Drive, Dorado Villas, Indian Wells CA. Sold to Richard and Kathryn Iosua in 2016. 1981 - Vintage Lot #1, Indian Wells CA. 1981 - Custom Residence, Vintage Properties, Indian Wells CA. 1981 - The Heathman/Hill Associates Condominiums, 1111 Tahquitz, Palm Springs CA. Unbuilt. 1982 - The Applebaum House, unidentified location. Unsure if built. 1982 - The Indian Wells Association Residence, Indian Wells CA. 1984 - The H & J Andreas House, Andreas Palms Estates, Palm Springs CA. 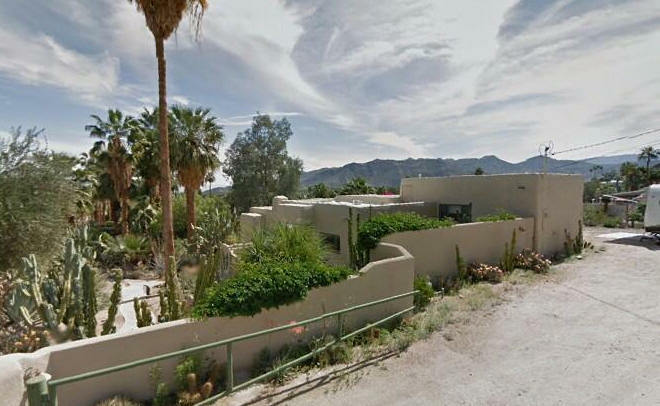 1983 - The Rancho El Mirador Condominiums, 291 E Mel Avenue, Palm Springs CA. Built on the grounds of the original of the El Mirador Hotel. 61 condominiums in four 2-story buildings. 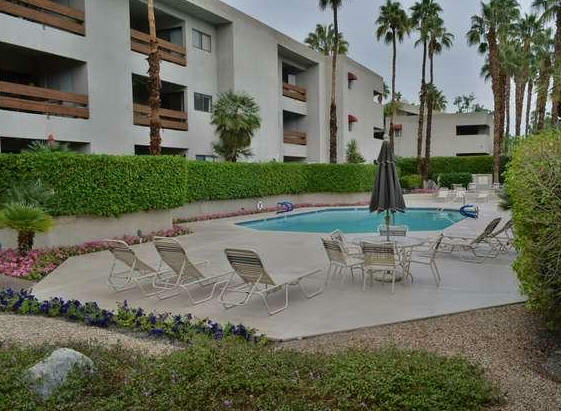 1984 - The Palm Springs Deauville Condominiums, 500 East Amado Road, Palm Springs CA. 168 units ranging in size from 736 sq. ft. to 1,259 sq. ft.
1985 - The Villa Caballeros Condo Project, 255 S Avenida Caballeros, Palm Springs CA. 59 units. 1986 - The Pueblo Village/Casa Verde Apartment Complex, Phase II, Palm Springs CA. 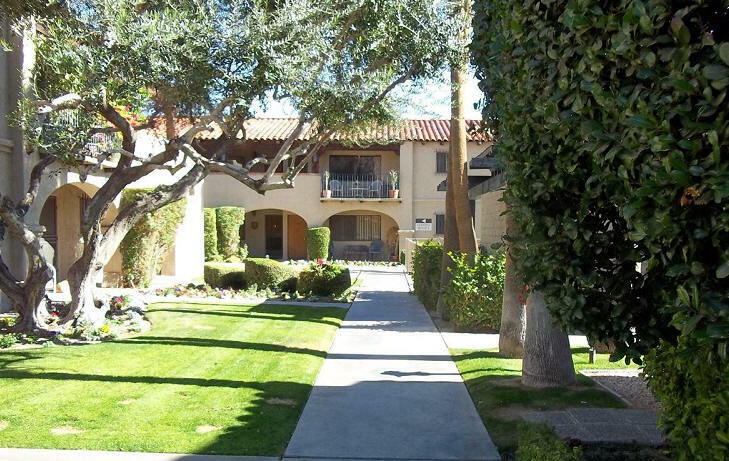 1986 - The Villa Serena Apartments, 900 East Saturnino Road, Palm Springs CA. 1986 - The Bill and Pat Warner House, Yucca Valley CA. 1987 - The Pueblos Apartment Complex, Palm Springs CA. 258 units. 1987 - The Pat and Gloria Gilliland House, 74675 Wren Drive, Indian Wells CA. The house was destroyed and a new one designed by Kristi Hanson Architect in 2016, above. 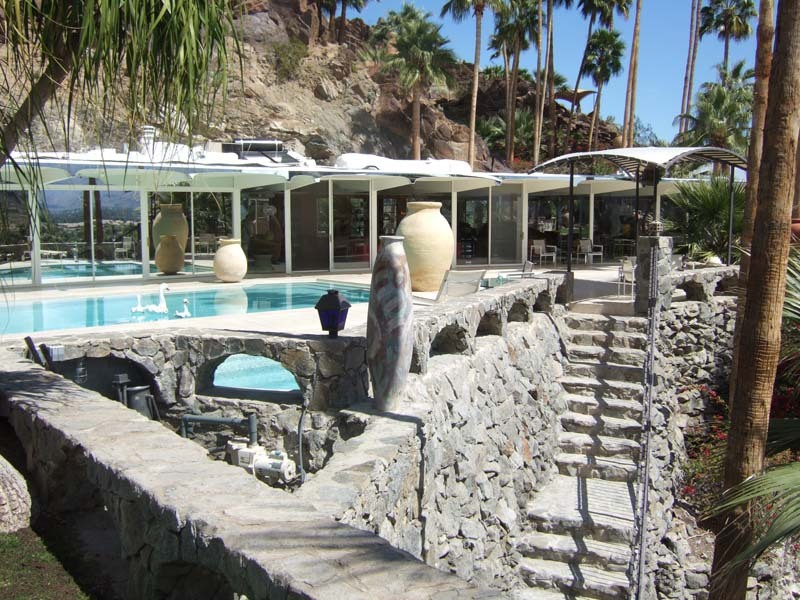 1988 - The Paul and Kay Selzer House, 38727 Maracaibo Circle, Palm Springs CA. Commissioned 1987. Still owned by Paul Selzer as of 2015. Bottom photos by This 'n That Films. 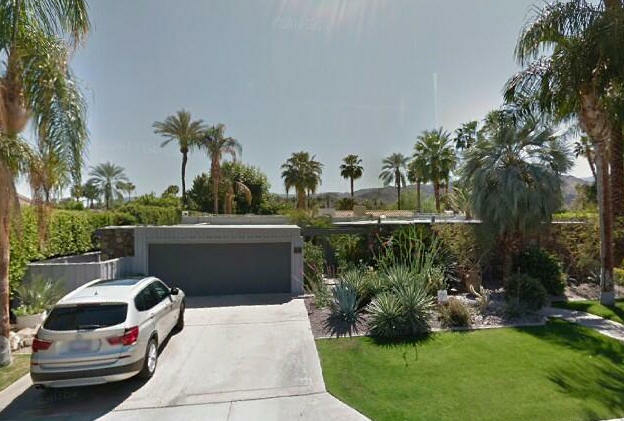 From Palm Springs Life, 1/31/2014: "The environmental lawyer and his wife met with the architect in Kaptur’s office, then on Tahquitz Canyon Way. The Selzers asked for something in the Mediterranean-French Provincial style, featuring stucco and tile. “I know exactly what you want,” Selzer recalls Kaptur saying. “I’ll design it for you, and you’ll love it.” Two months later, the couple returned to the office to see the model. “I almost fainted,” Selzer remembers. “Not only was it not French Provincial, it was something like Mexican Modern.” Nonplussed, the couple set the model on the mantle piece. That night, while hosting a party at their home, the Selzers were surprised by the unsolicited admiration for the model among their guests. “They said, ‘You must build it’,” the now-retired lawyer says. The couple chose to build the renegade scheme. Today, after living in the house for more than 25 years, they say they keep getting compliments. “It blows us away,” Selzer says. 1990 - The Big Bear Shores RV Resort and Yacht Club, Big Bear Lake CA. Assume this is the yacht club as the property consists of lots for RV's. 1990 - The Michael Lonegan House, Indian Wells CA. 1990 - The Questmark Group (Sunrise and Vista Chino), Palm Springs CA. Area appears to be commercial. 1992 - Parc Andreas Development, includes Trinidad and Maracaibo Circles, Palm Springs CA. 2 1/2 acres, Kaptur did civil engineering drawings. The 1988 Selzer house is included in this development. 1992 - The Hugh Kaptur House, Parc Andreas, Palm Springs CA. 2.5 acres. There were civil engineering drawings. Unsure if built. 1993 - The Charles McLaughlin House, Park Andreas, Palm Springs CA. 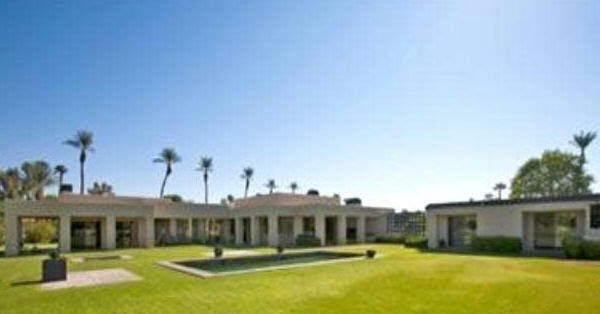 1993 - The Bob Hope House and Country Club, Rancho Mirage CA. 1996 - The Leni Orinco House, Idyllwild CA. Around 1996 - Apartments, 1965 S Camino Real, Palm Springs CA. 5 units. Needs verification as apartments. 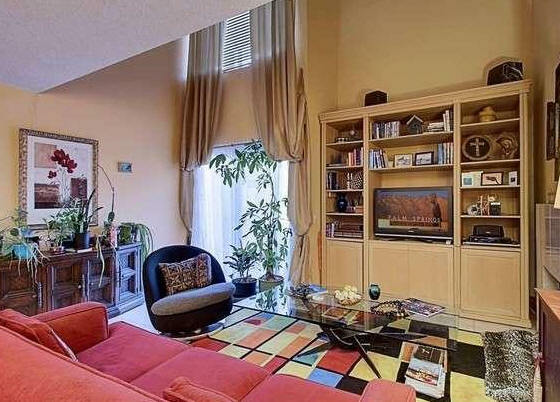 Sold in 2003 to Carolyn Elaine Martin. 1997 - The Robert and Terry Samuel House, Paradise Valley AZ. Very organic design, unbuilt. 1998 - The Barbara Ady Renovation and Addition, Palm Springs CA. 1998 - The Ralph Hemingway Addition, 100 Kovenish Court, Big Horn Country Club, Palm Desert CA. Study addition to a 1993 house. 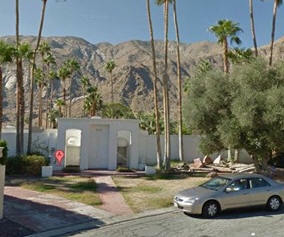 1998 - The Frank and Joy Purcell Addition, 1850 West Crestview Drive, Palm Springs CA. Original built date 1930. Still owned by the Purcells as of 2015. 2001 - The Stuart and Sherry Gimbel House, 8 Strauss Terrace, Rancho Mirage CA. Sold in 2011 to Eric and Susan Olsen. 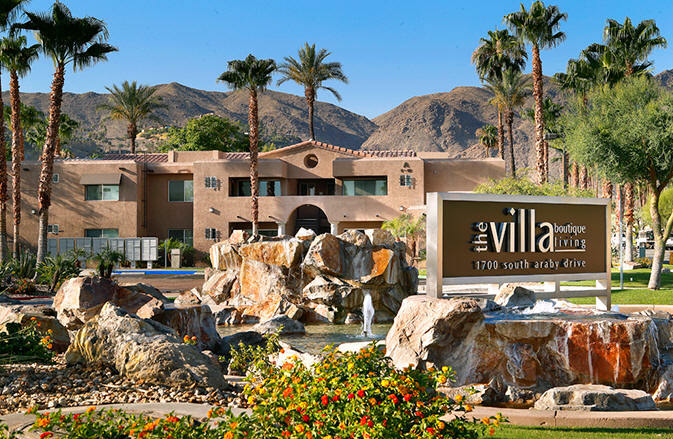 2002 - The Palm Canyon Villas, formerly the Villa Boutique Apartments, formerly the Vista Del Sol Apartments, 1700 South Araby Drive, Palm Springs CA. 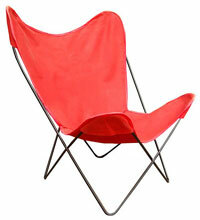 Sold to Northwoods Palm Springs. Sold in 2015. 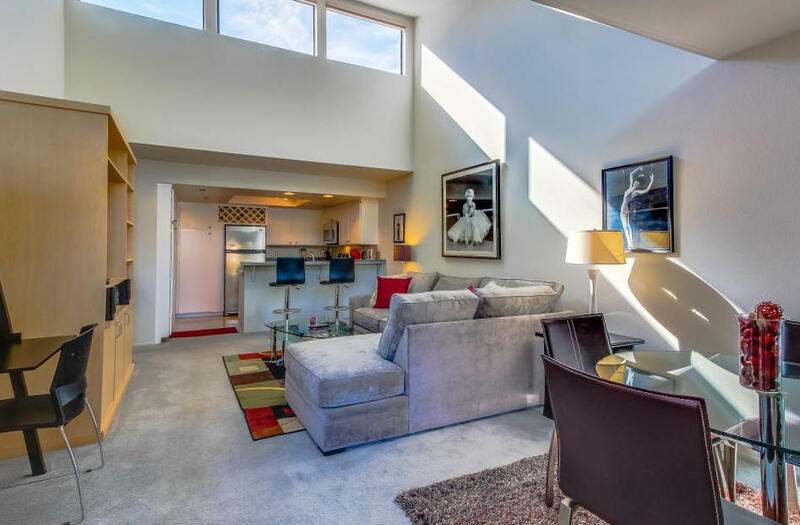 2016 - 262 West Vista Chino, aka Kaptur Court, Palm Springs CA. Built by NDC Homes. Sold in 2017 to LTD Partnership. Identical to 264. 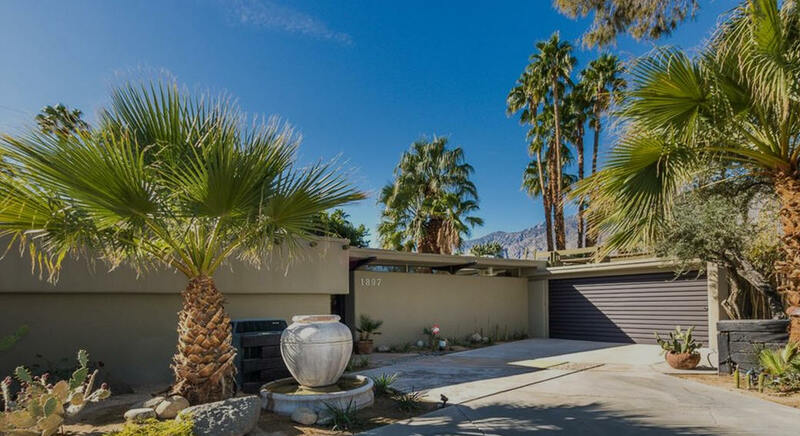 2016 - 264 West Vista Chino, aka Kaptur Court, Palm Springs CA. Built by NDC Homes. Sold in 2017. Identical to 262. 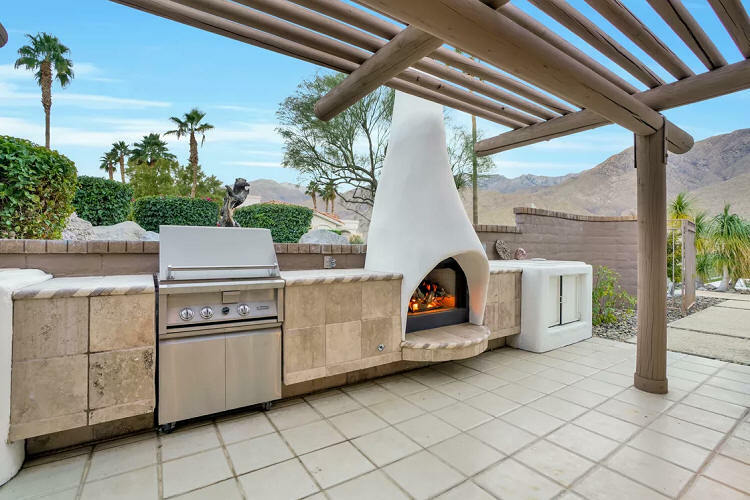 2018 - Casitas for Austick, Palisades Drive, Palm Springs CA. Kaptur is also working on a remodel. Year Unknown - The Bess Bender House, Canyon Country Club, Palm Springs CA. She was a well-known Palm Springs clothing designer. Year Unknown - The Cantella Condominium project, Bob Hope Drive, Rancho Mirage CA. 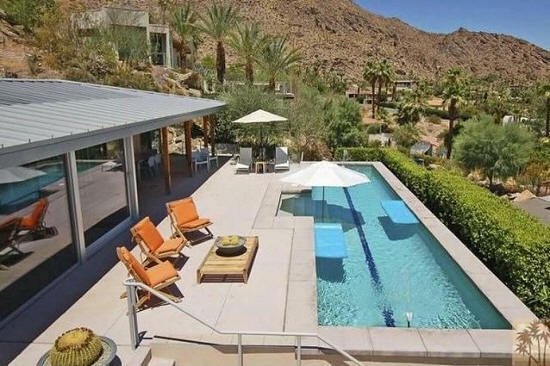 Year Unknown - The David Charnay Remodel, Palm Springs CA. Year Unknown - The George Devor (possible spelling Devore) House, Palm Springs CA. 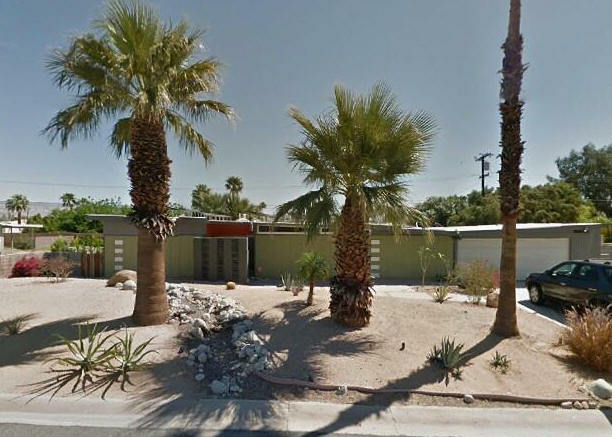 Year unknown - Renovation, 893 Camino del Sur, aka Camino Sur, Palm Springs CA. Built in 1961 for George Arnold. Sold to Horace and Gregg Sherwood Dodge. 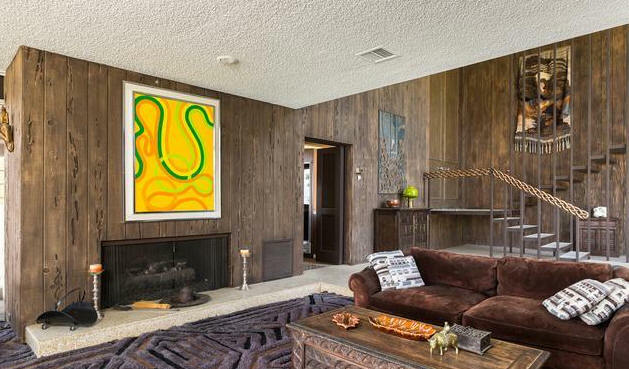 Remodeled by architect John Elgin Woolf in 1970. Sold to Ed and Sophia Friendly in 1976 who along with their maid were murdered here in 1978. 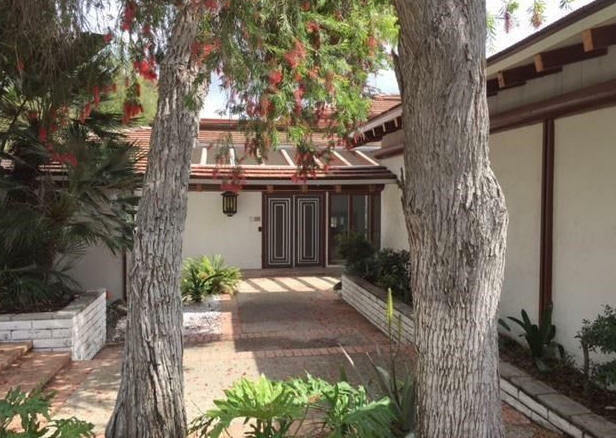 Sold to actor George Nader and partner Mark Miller in 1991. Sold to Stanley Thomas Smith and Sonja Smith in 2011 who did a 2013 remodel, bottom photo. Year Unknown - The La Quinta Country Club, Elkee Corpration, La Quinta CA. Unsure if this was in relation to the club itself or homes in the country club. Elkee Corp did own some land in La Quinta, but I did not find it connected to a country club. Year Unknown - The Far West Development Co Apartments, 225 Tahquitz, Palm Springs CA. No address like this, Tahquitz comes up but where the address would be is part of the Palm Springs Tennis Club. There is a Tahquitz Canyon but that address is a commercial building. Year Unknown - The Bert Farmer House, Indio CA. Believe this was R. Bert Farmer, President of the Riverside County Fair Board. 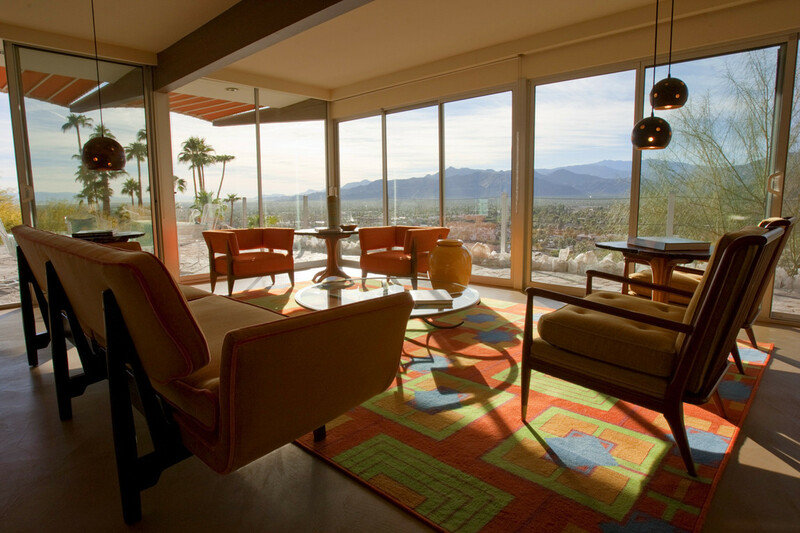 Year Unknown - The Henry Frank House, Remodel, Palm Springs CA. Year Unknown - The Henry L. Freers House, Bermuda Dunes Country Club, Bermuda Dunes CA. Mr. Freers was a retired Foreign Service Officer and a specialist on Soviet Union affairs. 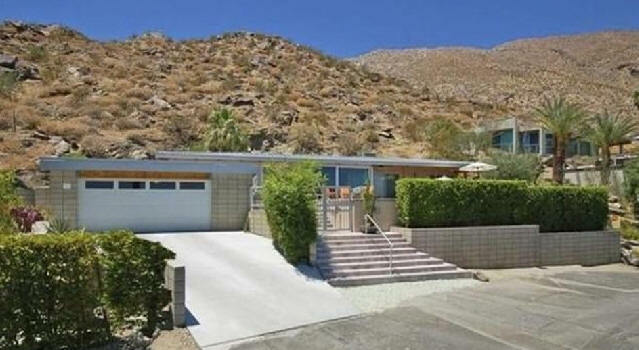 He and his wife had moved to the Palm Springs area after his retirement in 1968. Haven't been able to find an address, but is mentioned in several social affairs articles from the country club. Year Unknown - The Graham House, Palm Springs CA. Year Unknown - The Arthur Guyer Apartment Complex, Palm Springs CA. Year Unknown - The Leaming House, Palm Springs CA. Year Unknown - The McGovern House, Banning CA. Year Unknown - Lester McMillan, Canyon Country Club, Palm Springs CA. Year Unknown - Oldaker Townhouse Condominiums, Palm Canyon and Racquet Club Road, Palm Springs CA. Unbuilt. Year Unknown - The P. S. C. Limited Residence, Palm Springs CA. Year Unknown - The Glen Patch project, Outdoor Resorts Lot 260, Indio CA. Believe this is an RV Resort called Outdoor Resorts, where people can own their lot, and rent out if they are gone. Year Unknown - The James K. Pierce House, Palm Desert CA. 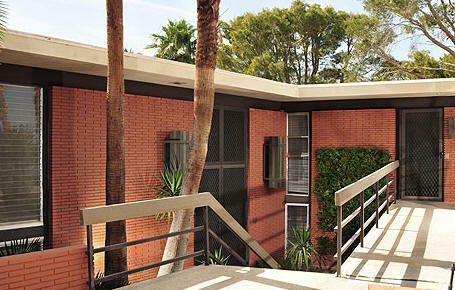 Year Unknown - The Morris Piltzer Apartment Project, 5 unit apartment building, Palm Springs CA. Unsure if built. Year Unknown - The Platt and Welmas Condominium Project, Palm Springs CA. Year Unknown - Quailsong Ranch, Palm Springs CA. No information, no indication built. Year Unknown - Quailtree Estates, Rancho Mirage CA. No indication built. Year Unknown - Rancho Ocotillo Development for Keller Williams, Adams Street between Miles Avenue and Fred Waring Drive, La Quinta CA. Built between 1989 and 1997. No indication of how many homes were built. Year Unknown - The Richard Ranspot House, Araby Drive, Palm Springs CA. Year Unknown - The H. G. Richardson House, Moreno Valley CA. Year Unknown - The Mike Styke Addition/Remodel, Palm Springs CA. Year Unknown - Tamarisk Village (Tamarisk Country Club, Far West Development Co., Plan 110, 3010). 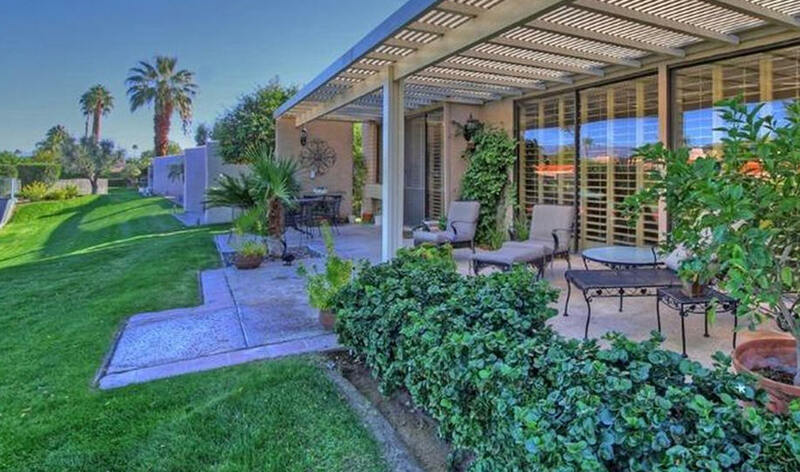 Year Unknown - Indian Wells Association Custom Residence, Vintage Lot #16, Indian Wells CA. Year Unknown - The Tommy and Sally Jacobs House, Bermuda Dunes Country Club, Bermuda Dunes CA. Pro-golfer, now lives in Leland NC and is a Magnolia Greens Development Partner and honorary golf pro. 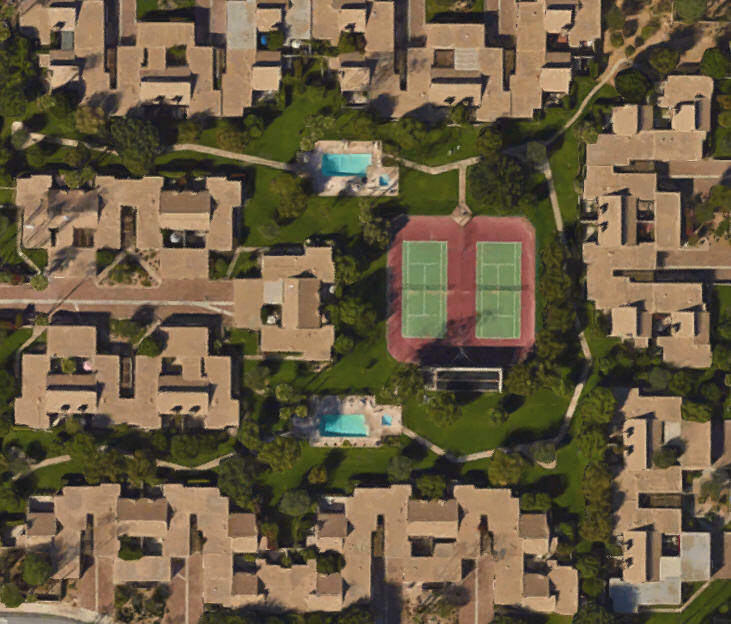 Year Unknown - The Kasowitz-Minskoff Housing Complex, 118-units, Palm Springs CA. 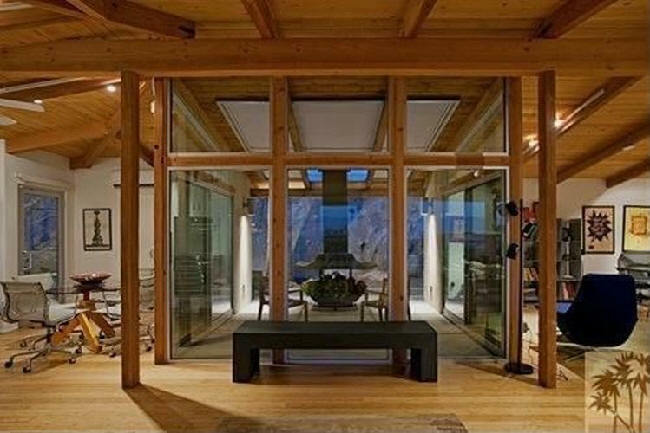 Year Unknown - aka Mountain House for McKay Manufacturing, Ed King, Pinyon Canyon CA. Sources include: Hugh Kaptur, Catherine Westergaard Cramer, Bert Simonis.